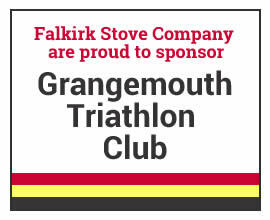 At the Falkirk Stove Company, we believe that selecting the correct stove for your needs is an important decision. You should consider the below point in order to help you with this. Where is my stove going to be located (is it free standing or within a fireplace)? 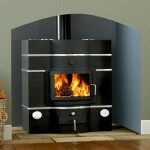 Do I want a wood burning or multi-fuel stove? How much space do I want/need to stove to heat? How often will I actually use the stove? The location of your stove is important and you should consider some factors which influence this decision. Do I have a suitable fireplace and chimney? 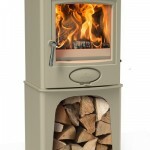 If it’s a free standing stove, will the stove be located near combustable materials? Wood burning stoves are more environmental friendly as the amount of carbon dioxide released into the atmosphere is the same as that absorbed by the tree during growth. For optimum results from a wood burning stove, logs should be seasoned for 2 years or more with a moisture content below 20%. This will not only give twice the output of freshly felled timber but help avoid a build up of tar in your flue and can extend the life of your stove. 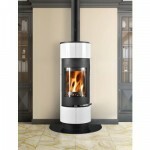 A wood burning stove is also designed to burn wood more efficiently than a multi-fuel stove. Multi Fuel Stoves come with a riddling grate and an ash pan that allows you to riddle the excess ash through the bottom of the stove and into the ash pan below the grate, making the stove extremely easy to clean. In order to calculate the size wood burning stove for a room, measure the width, length and height of your room and then multiply the three measurements together, For example width 5m x length 6m x height 2.4m = 72 cubic metres of room volume. If your room or house is newly built, very well insulated then divide the room volume by 25. If the room has moderate insulation then divide the volume by 15. If the insulation is poor or non existent, then divide the rooms volume by 10. In the above example, a room is with moderate insulation (dividing the room volume by 15) would require a 4.8kW Stove. It’s also worth considering what, if any, radiators are also in the room and how often these will be used. Do you live in a ‘smoke control area’? It is your responsibility to check with the relevant authority to ensure which type of fuel you can burn and if you require a Smoke Exempt (DEFRA) appliance.